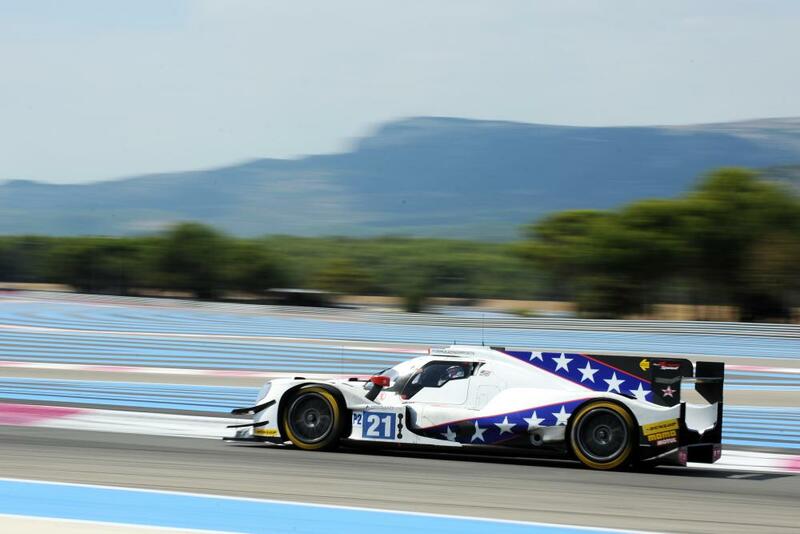 Elton Julian’s DragonSpeed locked out the front row in qualifying for the fourth round of the 2017 European Le Mans Series at Le Castellet. Nicolas Lapierre set a 1:52.761 to take pole-position in the #21 DragonSpeed ORECA 07 he shares with Henrik Hedman and Ben Hanley. Lining up alongside the #21 entry will be sister #22 ORECA 07, racing under the G-Drive Racing banner, after Léo Roussel set a 1:52.905, 0.145 seconds behind Lapierre. Third on the grid for Sunday August 26’s Four Hours of Le Castellet will be the #39 Graff ORECA 07 in which Enzo Guibert, driving alongside Eric Trouillet and Paul Petit, set a 1:53.051. Lapierre was delighted at the outcome of what he regarded as a tough qualifying session. Lapierre recognised how close the #22 G-Drive Racing sister car was. LMP3 honours went to the #6 360 Racing Ligier PS P3 entry in which Ross Kaiser set an early provisional pole time of 2:02.314, only to better it to 2:02.185 on his last lap in the car he shares with Terrence Woodward and Anthony Wells. Alex Kapadia snatched second place on the LMP3 grid when he set a 2:02.471 in the final seconds of the session in the #15 RLR MSport Ligier in which he shares the driving duties with John Farano and Morten Dons. Third on the grid in the LMP3 class will be the #18 M.Racing-YMR Ligier in which Alexandra Cougnaud set a 2:02.608. 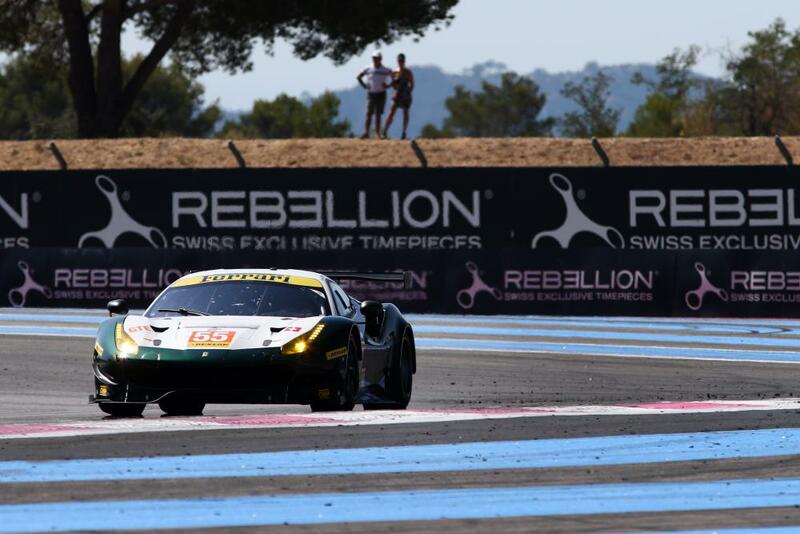 LMGTE pole went to #55 Duncan Cameron/Matt Griffin/Aaron Scott Spirit Of Race Ferrari F488 GTE in which Griffin set a 2:04.202, .370 seconds quicker than the #77 Proton Competition Porsche 911 RSR 991 driven by Matteo Cairoli. Third on the grid in the LMP3 class will be the sister #51 Spirit Of Race Ferrari F488 GTE in which Andrea Bertolini set a 2:04.588. After taking the second pole-position of the season for the #55 car, Matt Griffin was very satisfied with the outcome. The lights go out for the start of the Four Hours of Le Castellet at 12:00 local time on Sunday August 27. 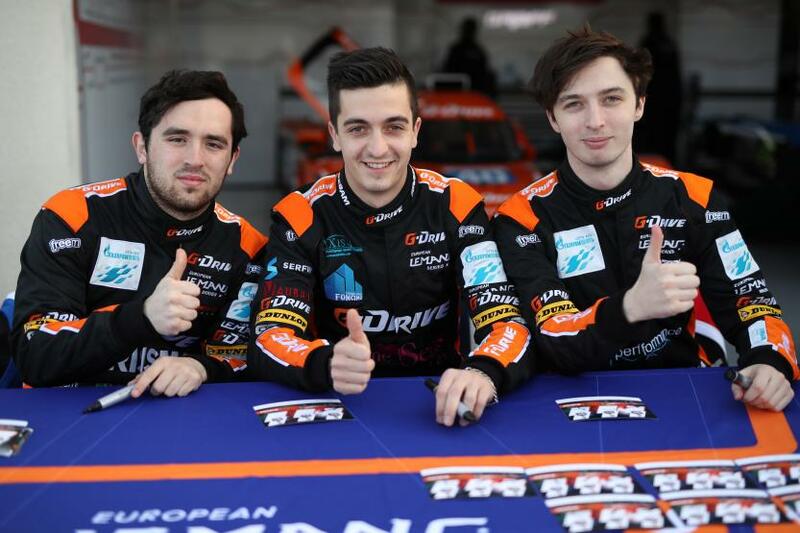 G-Drive’s Gutiérrez To Miss Final Rounds Of ELMS (27.08.18).